Lunch: $8.99Dinner/Weekend: $9.89Must be 65 years or older. Cannot be combined with other offers. Prepare for a legendary experience. 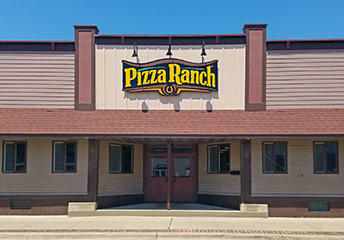 Pizza Ranch has the best pizza in Worthington, the Country’s Best Chicken®, and fresh salad fixin’s—all on our endless Buffet Your Way! If you don’t see what you’re craving, we’ll make it fresh and bring you the first slice. Find us just around the corner from Worthington High School and minutes from Sailboard Beach. 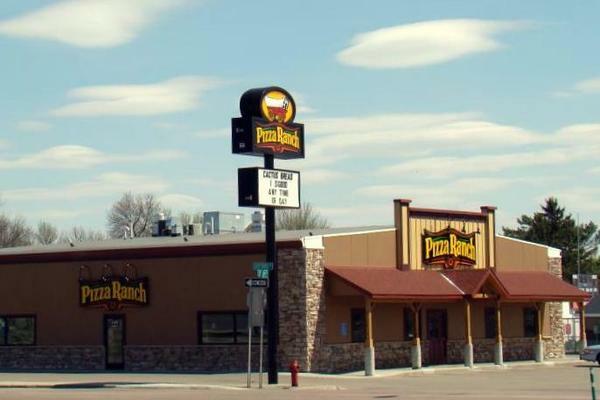 Stop by on your way home from a day of education or exploration—our Old West-themed restaurant is the perfect place to refuel! Join us for Community Impact events and help support local groups like the Worthington Historical Society, or get in touch with us to host your own. 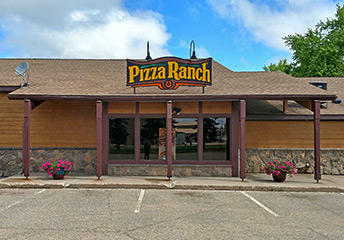 Pizza Ranch was busy. They maybe needed more help. The salad bar was almost empty and salad dressings gone. Was empty the entire time we were there. We asked twice if it could be refilled. Was no dessert pizza while we were there. People were also waiting for pizza. It looked like they were doing more Carry outs. So limited to no pizzas out. People standing I line waiting for pizza and then they would be gone again. Rude customer service. I was asked if I could read. There was no one working the front counter. The buffet was basically empty and what was there was old, cold, and burnt. The workers were swearing in the kitchen and one worker stayed in the dirty bathroom for 30 minutes. Food tastes good as always. Customer service is ok and it has improved since my last visit. But the facility is dirty. Our table was dirty and had to ask to have it wiped. We were the first customers for the evening in the facility. Other areas by the pop and straws are dirty. I ordered my 2 large pizzas for pick up and was told they would be ready in 20 minutes. When I got there after 20 minutes and paid, the cashier went back to the kitchen and was told it would be a few minutes. After waiting there for a longer period a gentleman came out and asked what my order was? I said large all meat and the other veggie. I got my pizzas after 15 more minutes and the gentleman apologized for the long wait. No problem on the wait, but the large veggie was very poorly made and on half of the pizza no cheese. Normally my service and the pizza is terrific, but the veggie pizza was poorly made missing toppings and cheese.